I wrote this story for the Miami Herald. It was published on Aug. 21, 1988. A convicted con artist who once ran a $500 million paper empire from a British island off the coast of France is now under investigation for fraud and theft in Broward County. Phillip Morrell Wilson, a short, squat, former insurance salesman who once testified he had Mafia and Central Intelligence Agency connections, insists police are out to get him regardless of what he does because of his criminal past. Broward sheriff’s investigators, who regard Wilson as one of the slickest con men of all time, aren’t convinced. Wilson, 51, and his one-time girlfriend, Bonnie Sandler, 41, director of Omni Capital Corp., are suspected of running a money-lending scheme that has cheated at least seven troubled businesses out of fees totaling tens of thousands of dollars, sheriff’s detective Muriel Waldmann said. Waldmann also said sheriff’s investigators are trying to determine what role Alvin Portner, a Miramar city commissioner from 1967 to 1983, played in Omni Capital’s activities. No one has been charged in connection with the investigation. Detectives have only begun to sort through a truckload of files, computer records and financial documents they seized from Omni Capital’s Plantation office suite Aug. 12. Waldmann said she is investigating complaints that Omni Capital charged fees of $12,500 to $30,000 to help businesses with credit problems secure loans. According to Waldmann, Omni Capital would send financial records of the troubled firms to a certified public accountant in Memphis, Tenn., where the records were altered to show greater assets, using bogus financial certificates supplied by Omni Capital. By showing inflated assets, she said, Omni Capital hoped to make the client companies more attractive to lenders. But she said none secured loans. She said at least seven firms had been “victimized,” but declined to name the companies. Portner, 49-year-old vice president of Omni Capital, said he had no knowledge of any wrongdoing. 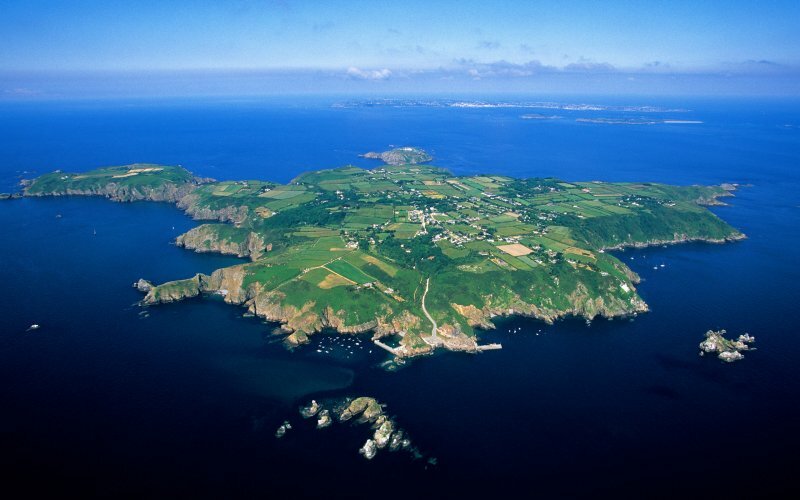 Wilson gained notoriety in the early 1970s with his creation of the Bank of Sark, a phony bank on an island off the coast of France. From a third-floor office above a beauty parlor and an eye doctor’s shop equipped with no more than a telephone, typewriter, Telex machine and boxes of fancy bank stationery, Wilson and his sole employee issued $500 million in worthless bank drafts and certified checks to con men around the world. The con men, who bought the phony documents for as much as several hundred thousand dollars each, used the bank drafts to fleece legitimate financial institutions out of at least $71 million, authorities say. Federal agents caught up to Wilson in 1972. He cooperated in their investigation, admitted he masterminded the scheme, testified against con men he dealt with, and got a three-year prison term and five years’ probation. As part of his plea agreement, Wilson told a Senate subcommittee in 1973 how he pulled off the Bank of Sark fraud and how such schemes could be detected. Bill Gallinaro, former chief investigator on organized crime for the Senate’s Subcommittee on Investigations, said he remembers Wilson well. Wall Street Journal reporter Jonathan Kwitny wrote about Wilson’s Bank of Sark swindle in his 1973 book, The Fountain Pen Conspiracy. Wilson served a year and a half in prison for the Sark scheme, then moved to Hollywood where he started Fraudmasters Inc., a company designed to protect businesses from con men. His freedom didn’t last long. Wilson was in and out of prison from 1976 to 1983 on charges ranging from mail fraud and bond jumping to interstate transportation of stolen property, and he may be going back to jail soon. He faces 22 months in prison on a charge that he violated his parole on the interstate transportation charge. The reason: He was convicted on a drug-smuggling conspiracy charge in Alabama in October 1984. Such felony convictions usually are grounds for immediate revocation of parole. Wilson has managed to stay out of jail by arguing that U.S. probation officials knew about the drug investigation against him when they paroled him in 1983, and therefore shouldn’t hold it against him now. The U.S. Attorney’s Office contends that probation officers didn’t know about the investigation. The parole dispute has dragged on since mid-1986. A hearing in the case is set for Aug. 30 before U.S. District Judge William Hoeveler in Miami. Sandler said she only wants the sheriff’s investigation to end. Wilson’s North Miami lawyer, Paul Lazarus, agreed, saying he is confident Wilson and Sandler will be cleared after investigators review the seized files. In all, sheriff’s deputies seized 38 filing cabinets, 27 boxes of files, eight computers and assorted pieces of office equipment. Gallinaro, now a Broward sheriff’s sergeant, said he isn’t surprised by the volume of material seized. In the Sark swindle, Wilson tried to confuse investigators with “shell” corporations and piles of papers, he said. Wilson acknowledged in 1973 that he tried to make his scams as convoluted as possible. “To complicate matters when you commit a fraud is one of the prerequisites,” he said then. But Waldmann said she’s not intimidated. Wilson, for his part, said investigators aren’t being fair. He said he resents that he never gets any credit for his good deeds — such as the sporadic intelligence work he claims to have done for the CIA during his Bank of Sark days. “The problem is that a lot of it is still classified,” Wilson said. CIA spokeswoman Sharon Basso would neither confirm nor deny that Wilson did intelligence work for the agency.